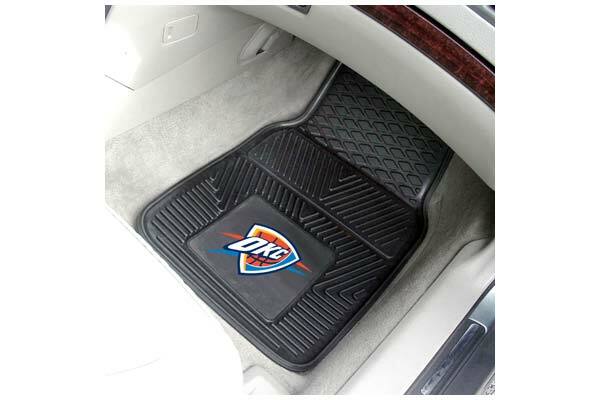 FANMATS 9414 - FANMATS NBA Logo Vinyl Floor Mats - FREE SHIPPING! We got the Thunder mats for our son's blue FJ cruiser, we call it the Thunder mobile with the Thunder car magnets on the side and now the stylish floor mats. We love our Thunder and these mats were perfect. Reference # 762-804-324 © 2000-2019 AutoAnything, Inc.